Man’s Best Friend, Could You Lend Me Some Energy? Does your dog always seem to be hyper? It’s hard enough to get work down as it is and a pets running around and jumping only make it more difficult. Here are some solutions that my help your rowdy dog to become more well- behaved. 1. Take your dog for a walk or play with your pet. These activities not only give your pet exercise but a chance to release the energy that your dog has built up. After your walk and your play time it will be a lot easier for both you and your dog to relax or get work down. 2. Try to not pay attention to your pet’s hyper behavior. A lot of dogs are trying to get your attention the best way they know how to. The more you acknowledge this behavior the more likely they are to continue to act this way because they are getting what they want, your attention. 3. Distract your dog with tasks. Giving your pet a job or something to do will help to redirect his energy into doing the task that you have given them. 4. Pets react through scent. Just as aromatherapy works for you, a calming scent may have the ability to work for your canine as well. Scents like lavender and vanilla often help calm not only you but your dogs too! Just be careful of what methods you use to release the scent because it may be too much for your pet to handle. 5. See how you are acting. Your pet can often feed off of your energy. If you are not calm then chances are your pet is not as well. Try to make sure that your pet knows that this is not play time. You can do this by showing your canine that you are relaxed, confident and do not appear nervous or hyperactive. Tidy Cats Need More Than the “Right” Kind of Litter. Is your cat not using the litter box? Despite the fact that the solution to this problem is easy it is the most common problem with most cats according to vets. Here are some easy tips for making sure that your cat uses the litter box instead of your things. 1. Keep the litter box clean. Cats are highly sensitive to smell and just like you avoid it they will too. 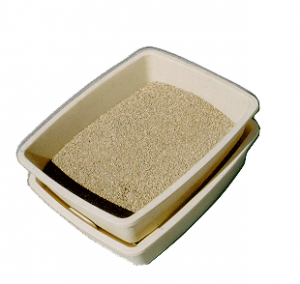 Scoop the litter box daily to keep the litter maintained and empty the box once a week. When you empty the litter box make sure you DO NOT use heavy cleaners. Use warm soapy water and then rinse well. 2. Try to use the same litter. If the litter works use it. Cats like familiar smells and don’t like change. 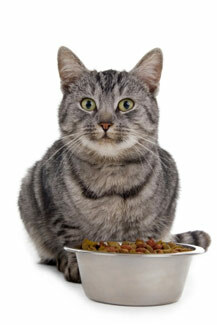 If you have to change the litter and your cat does not like it than try sprinkling some of your old litter on top. Eventually your cat will get used to the smell and won’t even notice the change. 3. Stick to the rule. Most experts say that there should be one litter box for each cat and an extra for good measure. Cats often don’t like to share and need options if the one nearest to them is occupied. 4. With multiple litter boxes it is important to spread them out. Litter boxes close to one another are confusing to a cat. 5. Take the cover off. The cover traps smells and makes it difficult for your cat to see what is going on around them which is important especially if there are multiple cats in the area. No one likes being walked in on and neither do your cats. I Love You, Fido. But Not Your Breath! 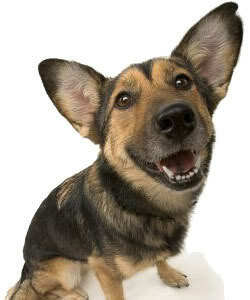 Everyone needs to practice good dental care and so does man’s best friend, your dog! Here are several tips to keep you and your dog close without you having to hold your breath because of theirs. 1. Pet has never received a dental exam? Take him to your vet. Sometimes our pets dental needs are too extensive for us to handle. Once your pets get a good cleaning and dental exam it makes it actually possible to maintain your pet’s teeth on your own. 2. Make it a routine. Make a point to get into the habit. By making the routine of brushing your dog’s teeth with special toothpaste for dogs you’re less likely to have to pay a hefty vet bill. 3. Give your pet a chew toy. Pet’s teeth are gentle just like ours and chewing on hard objects can cause breakage and/ or cracks and trust me a chew toy is a lot cheaper than paying for your pet to get their teeth fixed or even pulled! 4. Make sure your vet checks. When at your pet’s checkup be sure that your vet checks up on your pets teeth as well. An annual checkup keeps your pet from having more problems in the future. 5. 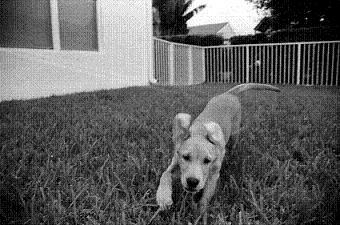 Start as a puppy. Starting your pet early helps them to be more comfortable and cooperative when they are receiving a cleaning. Keep an eye out for serious dental problems. • Swollen, painful, bleeding gums or bumps and growths. While cats are generally tidy sometimes they need a little help. When you have a cat it may seem like your cat leaves hair even in the most unexpected places. Here are some tips that will help you to keep your pet’s trail of hair to a minimum. 1. Brush your cat. To help your cat deal with shedding comb gently from head to tail. When combing the cat’s chest and stomach be sure to comb tenderly, these areas are often very sensitive on cats. 2. Make a routine. Cats are almost always shedding and it may be help to brush often.